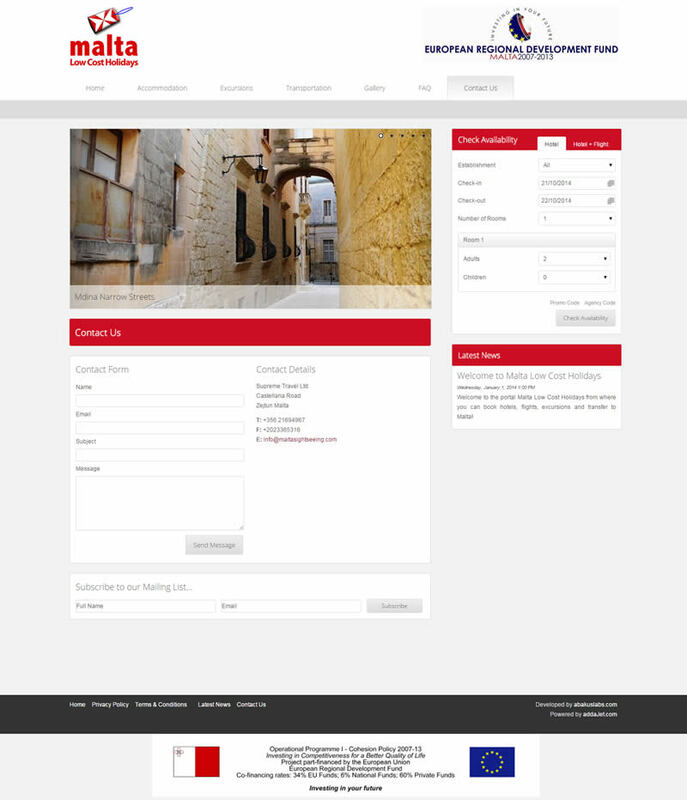 Malta Low Cost Holidays, which is a flagship portal by Supreme Travel, have worked with the Abakus team towards the creation of their online presence. 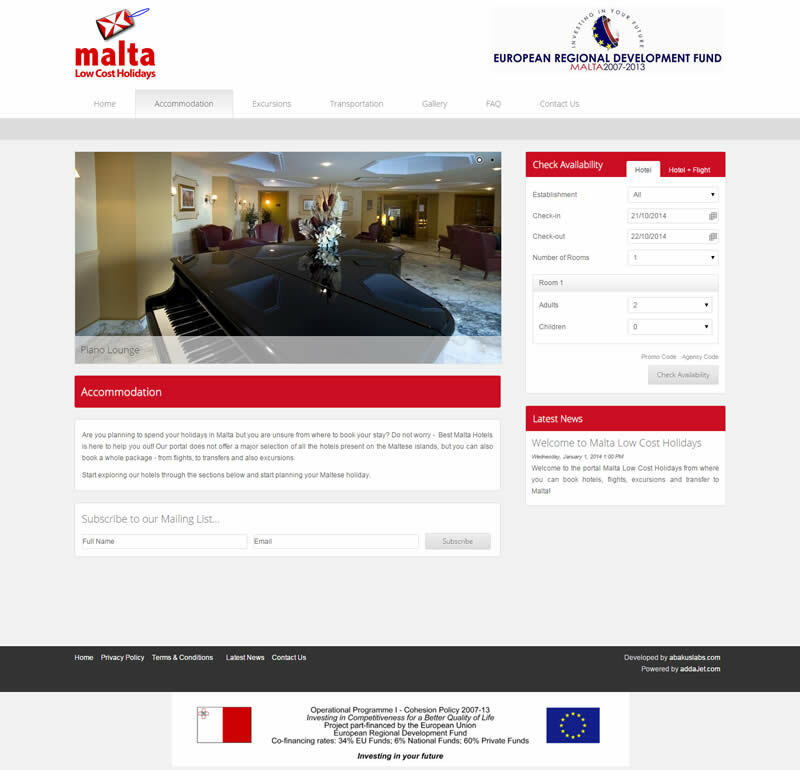 The idea of this website was to consolidate all of the products which the client is currently offering under one umbrella. The addaJet team have also given their hand in this website with the integrations of the various internet booking engines which Supreme travel have - from accommodation, to excursions and even transfers.